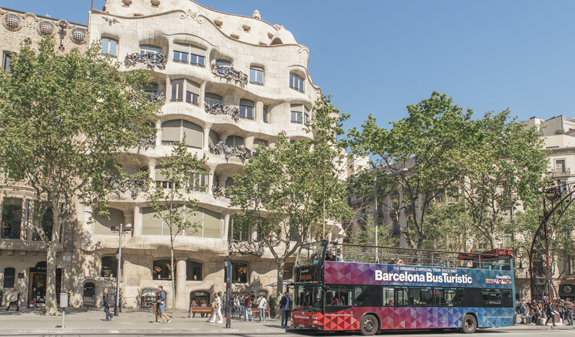 Save time and money with this pack of tickets to Antoni Gaudí’s landmark buildings, and discover Barcelona on board the Barcelona Bus Turístic. La Pedrera and the basilica of the Sagrada Família are two of Antoni Gaudí’s most iconic buildings and both have been awarded World Heritage status. Discover his secular and religious works at your own pace with the Gaudí Pass. 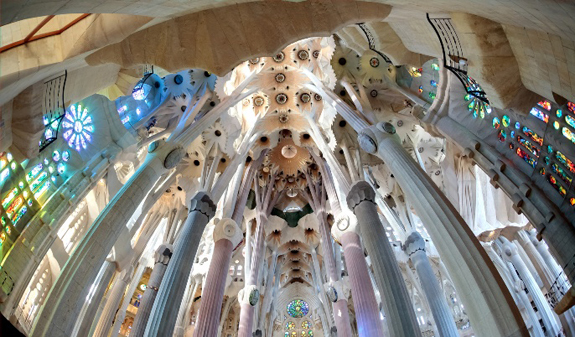 You can visit the Sagrada Família with an audioguided admission. All you have to do is let a member of our team know the date and time you want to visit. They will email your ticket and you’ll gain admission without joining the queue. The same applies to La Pedrera. Choose the day and time that is most convenient to you and enjoy the rooftop, period apartment, courtyards and the Espai Gaudí exhibition space. 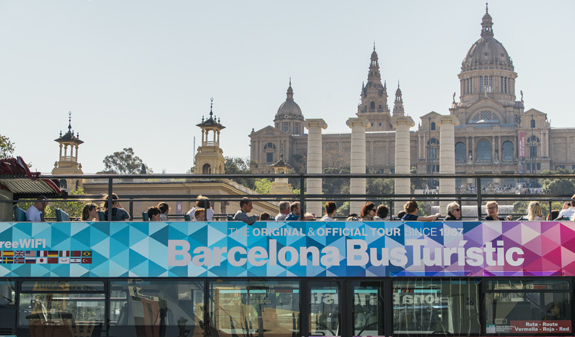 The Barcelona Bus Turístic is the best way to get around the city. You’ll be able to see the buildings, landmarks and major tourist sights from your seat while you listen to the complete audioguide in 16 languages which will tell you everything you’ll need to know to enjoy your visit. 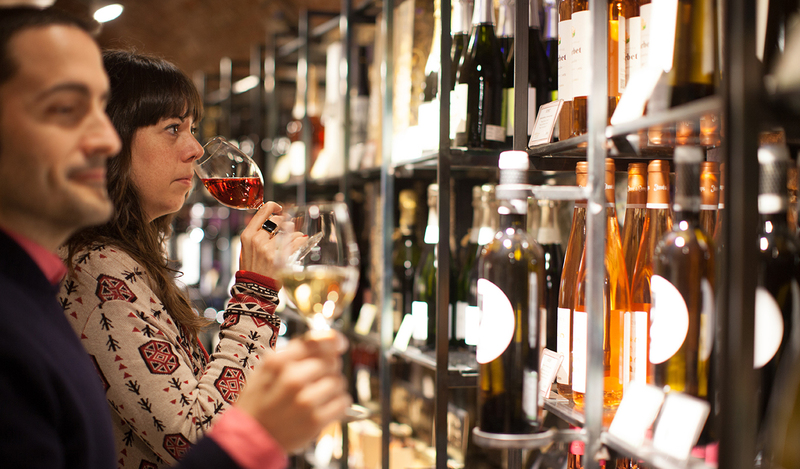 To raise a toast to your stay, we invite you to a wine tasting inside the Wine Tourism Information Point at Mirador de Colom, which boasts amazing views of the port and Barcelona’s Rambla. Audioguided and fast admission to the Sagrada Familia (one of our team will contact you to confirm the date and time of your visit). Does not include the top of the towers. One-day adult Barcelona Bus Turístic ticket + informative guide in three languages listing the stops on the different routes + audioguide on board the Bus Turístic in 16 languages: English, Spanish, Catalan, French, German, Italian, Japanese, Chinese, Portuguese, Russian, Dutch, Swedish, Finnish, Arabic, Hebrew and Turkish + discount voucher booklet you can use on sightseeing tours + free and instant Wi-Fi on the Bus Turístic. Wine tasting and access to the top of the Columbus Monument. Barcelona Bus Turístic: You can find information about the departure points for the Barcelona Bus Turístic at any of the stops. 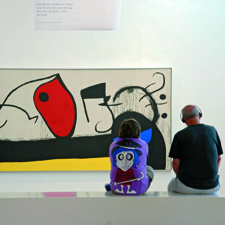 La Pedrera: Times:From 4/1 to 2/3: Monday to Sunday, from 9 to 6.30pm (last admission: 6pm). From 3/3 to 5/11: Monday to Sunday, from 9am to 8.30pm (last admission: 8pm). From 6/11 to 24/12: Monday to Sunday, from 9 to 6.30pm (last admission: 6pm). From 26/12 to 3/1/18: Monday to Sunday, from 9am to 8.30pm (last admission: 8pm). *1st January 2018: from 11am to 8.30pm (last admission: 8pm) Closed: 25/12, from 8th to 14th January 2018. Adress: Provença 261-265. Metro: L3 and L5, Diagonal stop. Bus: 7, 16, 17, 22, and 24. Wine Tourism Information Point at Mirador de Colom: Times: daily, 8.30am to 8.30pm. 6/1 and 26/12: 8.30am to 2.30pm. Closed: 1/1 and 25/12. The last lift to the top departs 30 minutes before the monument closes. Adress: Portal de la Pau. Metro: L3, Drassanes station. Buses 14, 59, 64, 91, 120, D20 and H16. 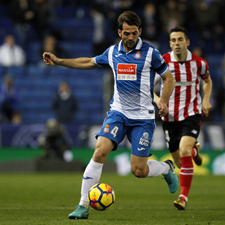 Once you have completed your purchase, a member of our team will contact you to confirm the date and time of your visit (bookings should be made 48h in advance) (you must provide us with an e-mail address or phone number). The audioguided admission for the Sagrada Família does not include the top of the towers. You will not be able to purchase additional services at the Sagrada Família ticket offices. When entering the Sagrada Familia security checks may be carried out and your bags, rucksacks, luggage and personal items searched. Clothing regulations inside the basilica of the Sagrada Familia: For safety reasons, visitors must remove caps and hats; No see-through clothing; No tops that do not cover the shoulders; No plunging necklines; Shoulders and midriffs must be kept covered; trousers and skirts must come down to at least mid-thigh. La Pedrera has facilities for visitors with visual impairment, hearing impairment, reduced mobility, wheelchair users and has a lift providing access to all areas on the vist. 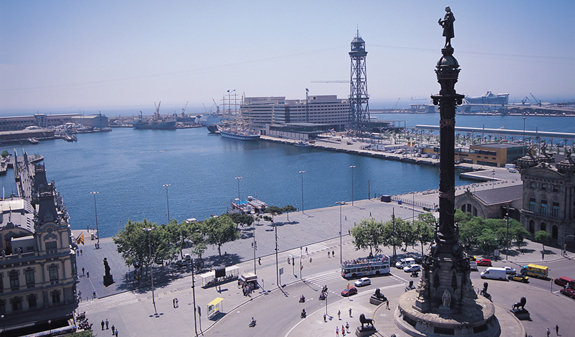 The Barcelona Bus Turístic ticket is valid for one calendar day, not for 24-hour periods. 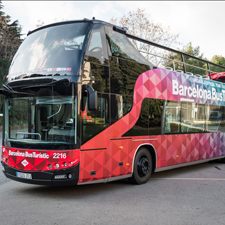 The Barcelona Bus Turístic is adapted for wheelchair users and people with hearing impairments. The last lift to the top of the Columbus Monument departs 30 minutes before closing.